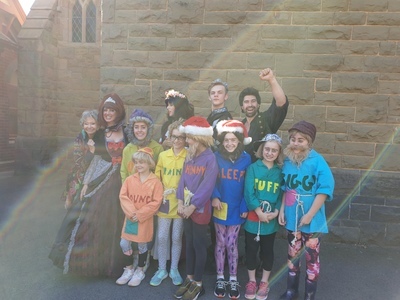 KidTown Melbourne are huge fans of Pantomime Productions, so Miss 3 and I were delighted to be invited back to review their latest show; Snow White and the Seven Dwarfs. 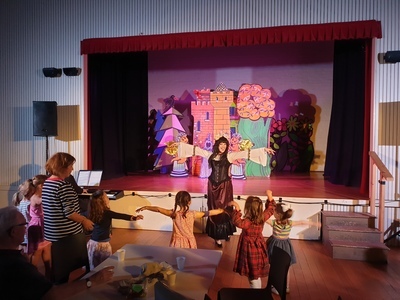 Set in St John's Anglican Church Hall in Malvern East, Carole Ann Gill has once again created a laugh out loud, belly busting comedy that can only be found in the magic that is Panto. The beautiful soprano Alice Batt plays Snow White, demonstrating to everyone her voice really is the fairest of them all. Though Erin Gill plays a very "Melbourne" wicked queen that you can't help but fall in love with, especially when she invites the audience to join her for spin classes and lattes. Callum Jarrott playing Tom/Prince Charming shows off his acting range by playing both a kitchen hand and the hero prince in a magical transformation. Huntsman Sam Anderson's natural charm and stage presence, partnered with his hilarious audience interaction is nothing but sheer talent. A skilled showman. Though the real stars of the show are the fabulous Seven Dwarfs. Tamara Donellan, Audrey Lambert, Hannah McBurney, Tahlia Bellocci, Alex Topchian, Nicolette Bakalos and Estelle Lamber. These dwarfs could sing, dance, act and even play the violin. Yep a violin playing dwarf that played note perfect "Where is Love" from Oliver. All done with fantastic smiles and fun loving personalities. 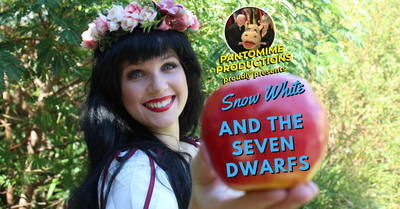 Snow White is an excellent activity for the school holidays. With tickets only $20 per person and suitable for all ages, this show will have the whole family laughing. Congratulations Pantomime Productions may you all live happily ever after.